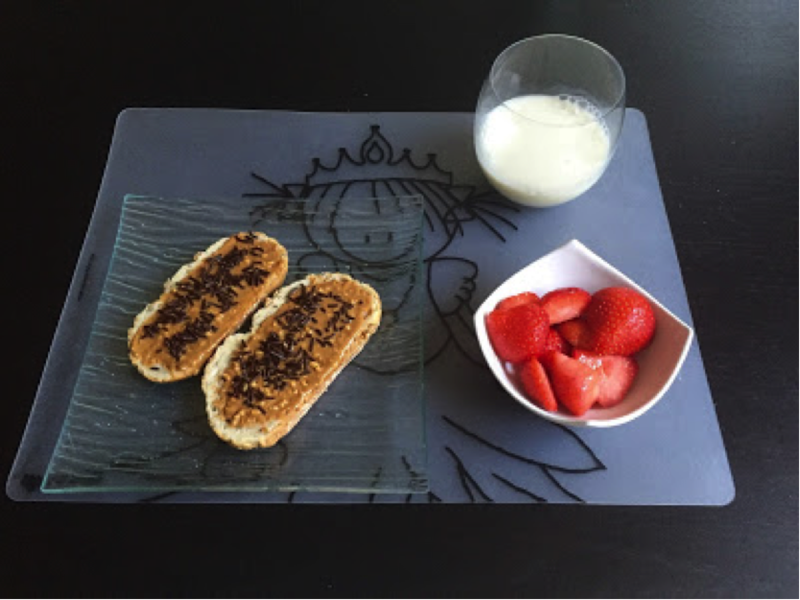 For the typical Dutch child, breakfast is a glass of milk with bread, unsalted butter and most importantly, hagelslag “hailstorm” – sweet sprinkles that come in multiple flavours (chocolate, fruit, anise), shapes and sizes. My local supermarket has half an aisle devoted to them. Limit or avoid the fruit sprinkles (vruchten hagel) that generally contain apple juice concentrate (appelsap). Limit regular bread to one slice and spelt sourdough to two slices. Spelt is everywhere in The Netherlands. However, spelt bread (speltbrood) is not necessarily spelt sourdough (speltzuurdesem). Look for speltzuurdesem in the ingredients panel – it is generally listed second after spelt flour (speltbloem). If lactose is an issue for you or your child, choose lactose free (lactose vrij) milk. If opting for soymilk, be aware that those readily available in The Netherlands tend to be based on soybeans (so­ja­bo­nen) and therefore higher in FODMAPs. If you or your child are particularly sensitive to lactose, limit or avoid white and milk chocolate sprinkles (melkchocoladevlokken). 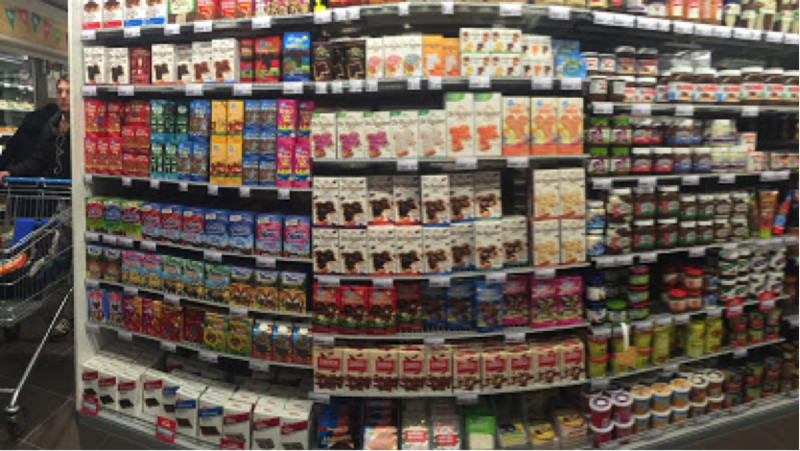 These generally containing milk powder (melkpoeder) and lactose. Swap the butter for peanut butter – another popular food in The Netherlands. The Dutch word for peanut butter is pindakaas, which translates to “peanut cheese”. Aim for 100% pindakaas rather than the alternative that has added oil, sugar and salt. Peanuts are good source of protein, fibre and iron. Choose wholegrain bread. Wholegrains are richer in protein, fibre, vitamins and minerals. Also, choose a bread with minimal ingredients, like a sourdough. Sourdough breads are made up of flour, sourdough culture, water and salt. These tend to not contain unnecessary sugar, additives and preservatives and, it’s nice to understand all the ingredients in a product! Choose dark chocolate sprinkles (chocoladevlokken puur). These are far lower in sugar than the alternatives. Plus, aim to lightly sprinkle (as opposed to heavy coat!) your bread with hagelslag. Serve with a portion of low FODMAP fruit. Aside from the fact that fruit is rich in fibre, vitamins and minerals, it’s good to expose children to “something that grows on a tree” (i.e. fruit or vegetables) at each meal. Fun fact – Make time to sit down and eat breakfast together as a family. 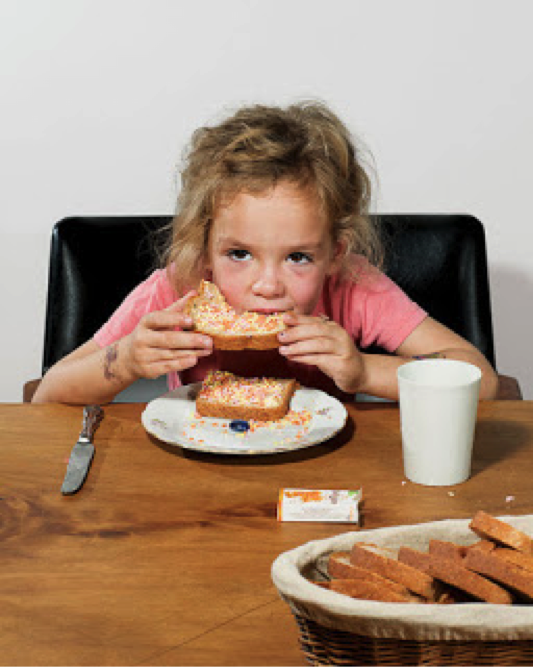 According to a UNICEF report, which ranked Dutch children as the happiest in the world, in no other country do children eat breakfast as regularly as they do in The Netherlands. 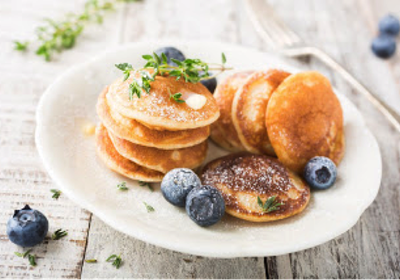 Eating breakfast is associated with: a healthy weight, better performance in school, and decreased behavioural problems. 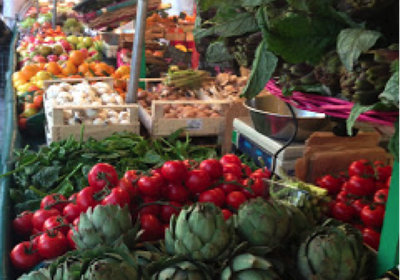 Europe on a low FODMAP diet: go to the market!